The effect of facial scarring is often more than skin deep. The emotional impact of such injuries, especially in children or in cases associated with violence, makes facial scar wounds hurt more deeply. Whatever the cause of your facial scar, our Facial Plastic Surgeon Dr. Bassichis will dedicate himself to achieving maximal improvement the appearance your facial scars. 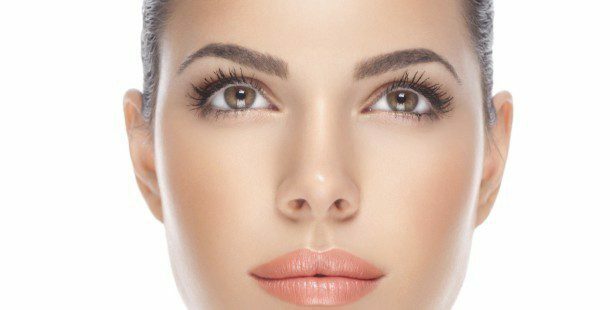 As a double board certified facial plastic and reconstructive surgeon, Dr. Bassichis has many surgical and non-surgical options for customized scar improvement. Some of the techniques that Dr. Bassichis may recommend include scar massage, cortisone injections, simple re-excision, Z-Plasty, geometric broken line closure, subcision, dermabrasion, Fractionated CO2 laser resurfacing, vascular laser treatments, and/or dermal filler injections. Regardless of the methods used, the goal is the same; to camouflage the scar for a more aesthetically pleasing appearance. After your scar revision procedure, it is very vital to follow all medical instructions after surgery to optimize proper wound healing and your best outcome. 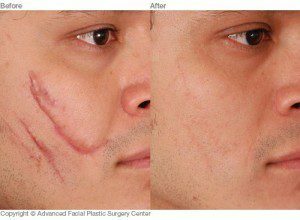 It would be our pleasure to see you for a personal consultation to discuss your options for customized scar revision with Dr. Bassichis.